Sometimes you want to enjoy all the benefits of CBD oil, but with an innocent flavour that takes you back to those bright summer days of drinking an ice-cold milkshake in the sun with friends. Well luckily, with our Route 66 Banana Milkshake CBD e-liquid, you can happily vape away with all the health benefits CBD brings, but with an irresistible creamy fruity taste that will keep you coming back for more. This 10ml bottle contains 100mg of organic CBD with a VG/PG ratio of 40/60 to ensure you enjoy a satisfying throat-hit. 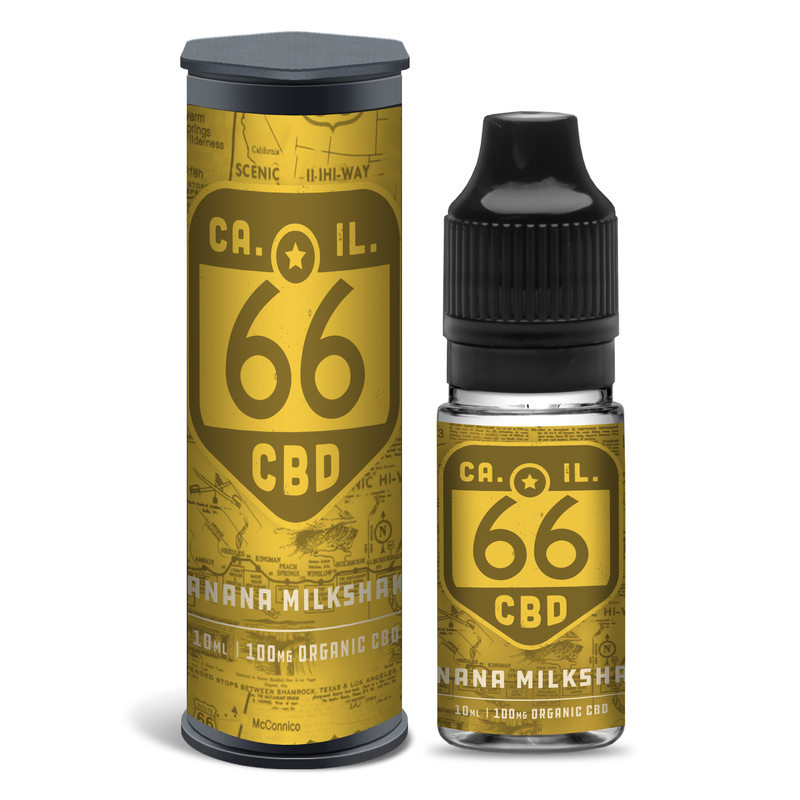 Compatible with all devices, this Banana Milkshake CBD e-juice can be vaped as is, or diluted if you prefer something a little lighter. If you enjoy our Route 66 Banana Milkshake CBD vape juice, why not try our Cherry Blackcurrant CBD e-juice? Our products are all made using only the best pharmaceutical grade ingredients in our UK-based ISO clean room. 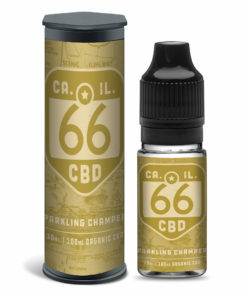 We are FDA compliant and always follow the law. All rigorous tests and guidelines required for the sale of CBD products have been completed. Our encrypted payment gateway provides a secure checkout. Our fast, efficient customer service ensures that all enquiries are dealt with swiftly. Banana can be hit and miss but it was good this one…,,asked a few questions before buying and they were great.